Nafplion (also: Nauplion, Nauplia, Nafplio) is a beautiful city on the Peloponnese, which was the capital of Greece from 1829 to 1834. 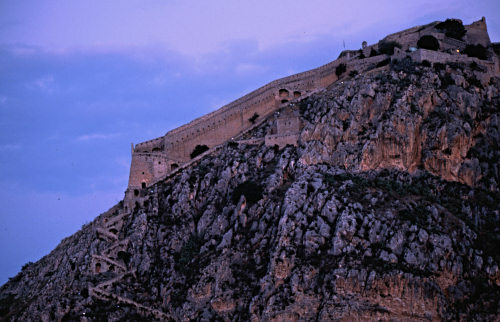 There are two ancient fortresses with Fort Palamidi towering above the city on a hill top. This fortress looks especially picturesque in the evening and at night.